For now this is limited to more than 1 tab, and less than 5. So 2-4 tabs. To select a tab programmatically you will need to assign a GlobalKey to the widget. When you want to change tabs you will need to access the State using this key, and then call setPage(position). See example project, main.dart, line 75 for an example. Using this package in a live app, let me know and I'll add you app here. Contributed by TheWithz, thanks. The circle can have a click event when active. Changes to constructor, as RouteObserver is no longer needed. Adds key to the Widget to enable programmatic selection. No longer required BuildContext to be passed. line 226 col 5: The class 'Future' was not exported from 'dart:core' until version 2.1, but this code is required to be able to run on earlier versions. line 231 col 7: The class 'Future' was not exported from 'dart:core' until version 2.1, but this code is required to be able to run on earlier versions. Run flutter format to format lib/internal/tab_item.dart. Run flutter format to format lib/paint/half_clipper.dart. Run flutter format to format lib/paint/half_painter.dart. 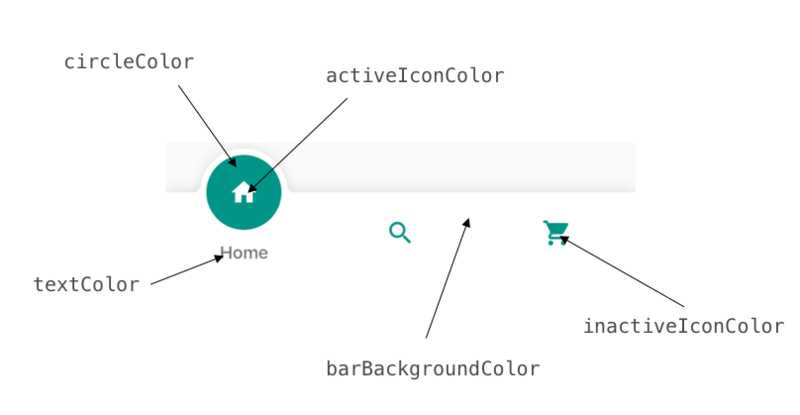 An animated Bottom Navigation Bar for Flutter apps, icon animates into place, colors are customisable..